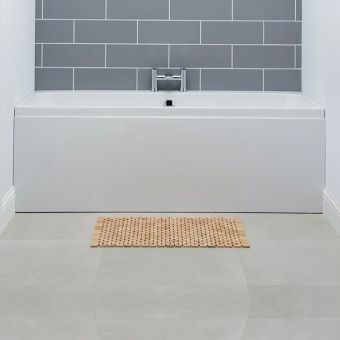 A broad, simple aspect and high sloped walls make this piece a fine addition to the contemporary interior that utilises pure forms and simple geometry to full effect, with a double ended interior that allows full relaxation at either end. 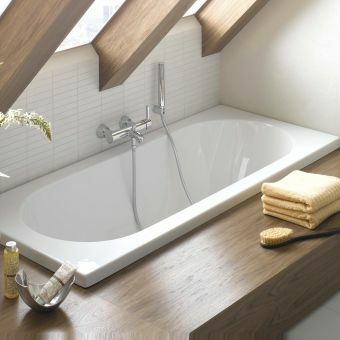 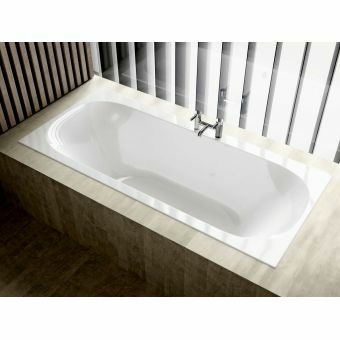 Created from toughened fibreglass and acrylic, it retains heat with ease for a soak that remains warm and satisfying. 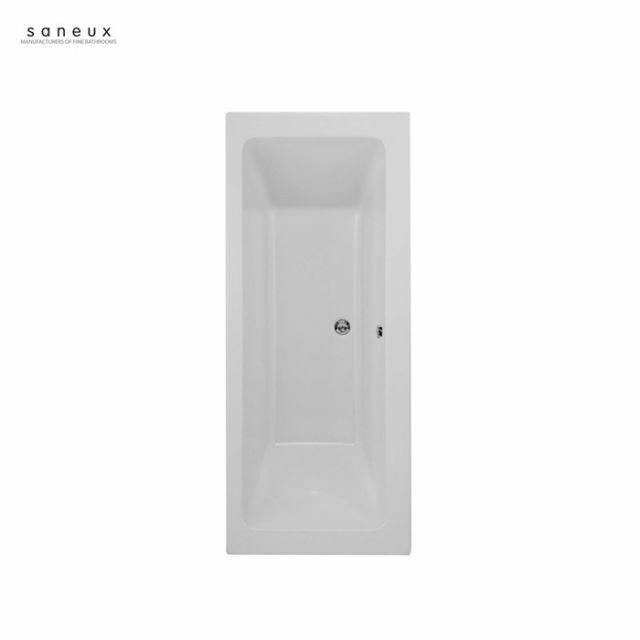 Capable of being combined with a range of brassware, including wall mounted mixers, this bath can also be supplied with matching feet that complement the sharp angles and minimalist form of the Stetson. 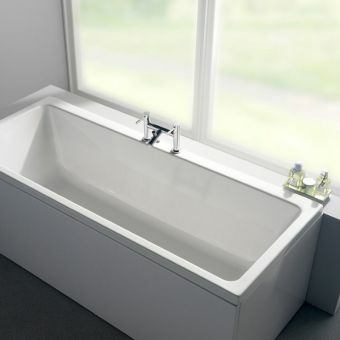 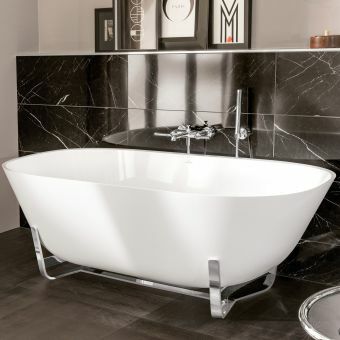 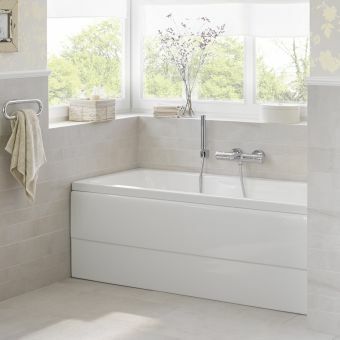 Available in four different sizes, this bath has the versatility to fit into a range of spaces. Measurements range from 1700mm by 700mm with 155 litre capacity, 1700mm by 750mm with 195 litre capacity, 1800mm by 800mm or 1800mm by 1000mm. 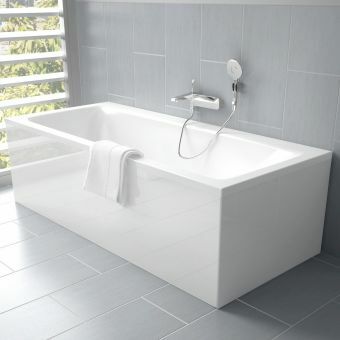 Please note that waste fittings pictured are not included in price, and may be ordered separately.